Now you know why working in Edinburgh beats London paws down, let’s get into the specifics of where exactly you should work in the city. I may be biased seen as I’m a bit of a local celebrity, but nowhere quite compares to Leith. Sure, it might have an infamous reputation thanks to a certain film about trains – wait, it’s not actually about trains? But, it has come on leaps and bounds in recent years while maintaining its rough around the edges charm. Lucky for me, I get to spend a lot of my time around here and know the place pretty well. So, without further ado, here are some of my favourite things to do in Leith… it is my territory, after all. Every Saturday, Dock Place hosts a farmers’ market from 10am – 5pm. Or so I’m told, I have no concept of time. Let me tell you, it smells incredible! There’s always fresh meat, fish, cheese, bread, fruit and veg on the go, as well as street food to tuck into. I’ve got pretty good at sniffing out the crumbs. There are also loads of things to buy and not just for the humans. 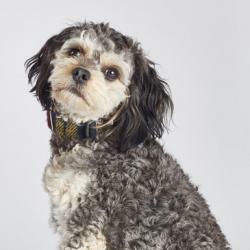 I got my very own Harris Tweed collar and harness from Collared by Mark, not to mention a few bits of liver cake on the side – don’t tell the other dogs. There’s no shortage of walks around these parts, but you can’t beat a stroll along the Water of Leith. It’s home to loads of wildlife, from swans, ducks and fish in the water itself to birds, squirrels and other critters the human says I can’t chase in all the greenery. The walkway goes on for ages, all the way to Balerno apparently, but my little legs can’t go that far. 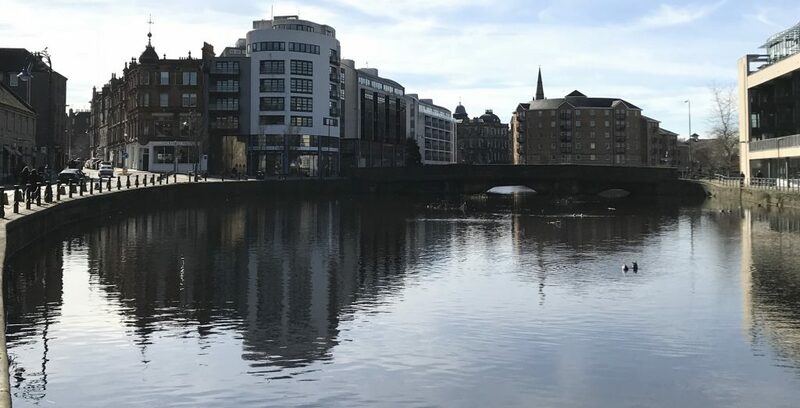 It’s a scenic way to get from one part of the city to another, though, if you ever fancy leaving Leith – but, why would you? Instead of leaving, head along to Leith Links, the biggest open space in the neighbourhood. I’ve spent many an afternoon chasing balls across the grass and meeting other furry friends – they can’t have my ball, though. There are always people walking, jogging and cycling around the paths, as well as playing football, cricket and other games I don’t really understand, but they look fun. It’s also great for a picnic or BBQ on the rare days we actually get sunshine on Leith and there’s usually some sort of festival going on, like the Edinburgh Mela. 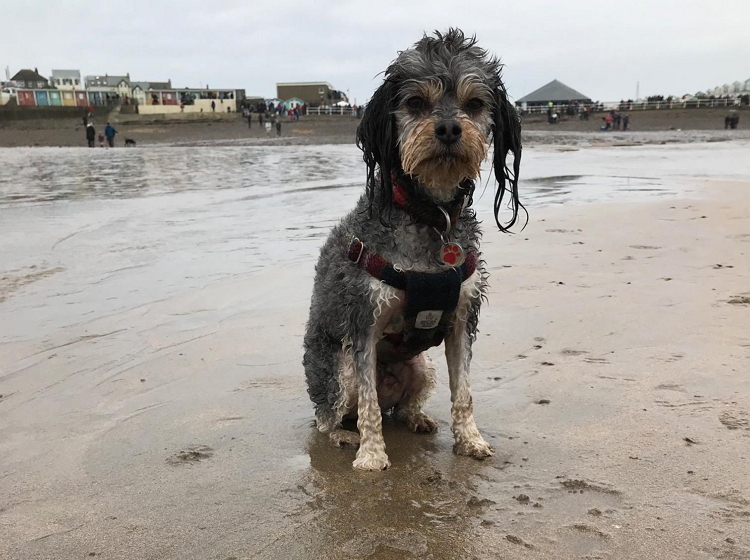 I may not look it, but I’m a sea dog at heart. Leith is right beside the Firth of Forth and is home to the Royal Yacht Britannia, as well as a hive of activity down at the Docks. I’m working my way up to the ships by rowing at my local club in Newhaven. There’s nothing quite like taking in the fresh sea air. 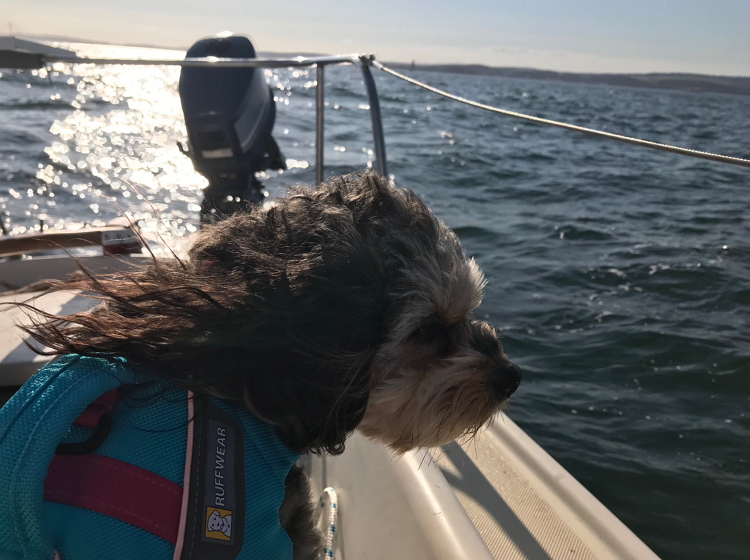 I may not have any thumbs, but I can sure bark orders to keep the boat moving. The human says they welcome new members of all levels, so give it a try if you fancy finding your sea legs. 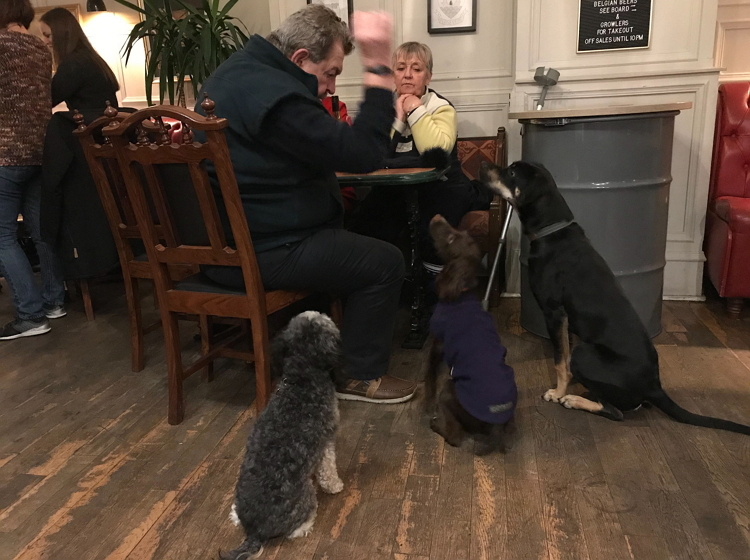 One of my favourite things about Leith, and Edinburgh as a whole to be fair, is how dog-friendly the pubs and cafés are. I can often be found kicking back in The Dreadnought, enjoying some live music, having a well-earned rest or earning treats from the locals – although, I’ve got some stiff competition. If good grub is what you’re after, look no further than my pals at the Bad Tempered Baker. Not only do they keep my human fed and watered, they can always spare me a bit of ham when I visit. I’m not saying bribery will get you everywhere, but… bribery will get you everywhere. Leith also has some great independent shops if you’re looking for a unique gift or just fancy treating yourself. My human loves Destined for Home for finding things you wouldn’t get elsewhere, while supporting local business, and I get to say hi to the resident shop dog, Harley. Oh, I’m also pretty fond of the blankets. 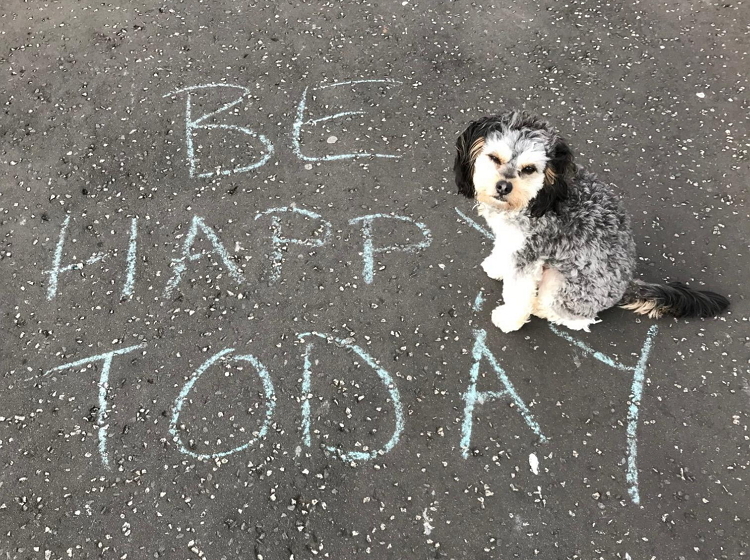 We’re only just scratching the surface of things to do in Leith, but I’m a busy dog. That nap isn’t going to take itself. Imagine all the things you could discover if you worked here – not to mention, you’d get to meet me. Have a look at our current vacancies and come join my pack at Storm. Bring treats.